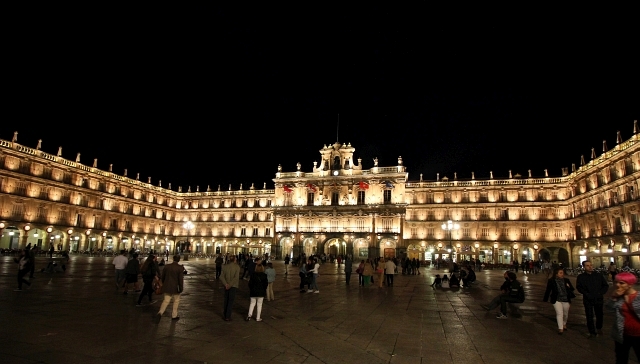 Last year I went to Salamanca in Spain to take part in a project working with a Spanish language college. 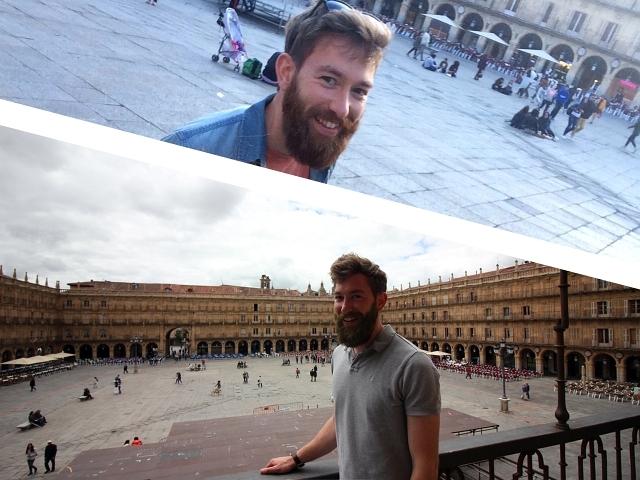 The trip was amazing, I learnt a lot, developed my practice, made some new international connections, saw some fantastic places and got to travel at a time when I was saving money. So when the second part of the project was announced as happening in May, I was stoked. This next stage continued from the first and had us going to build links with our colleagues over seas. 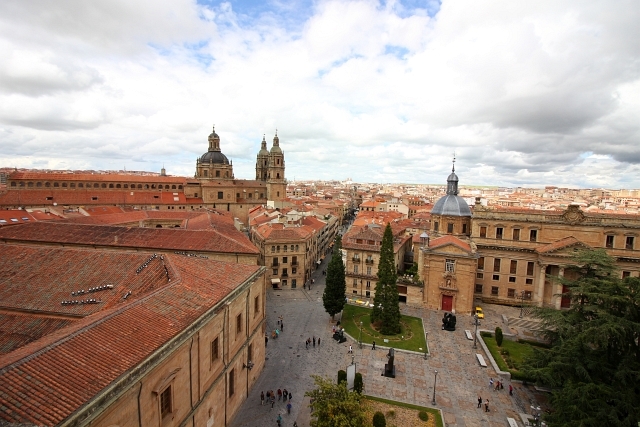 When we arrived in Salamanca, all the memories flooded back to me and I remembered exactly how much I loved this beautiful city. 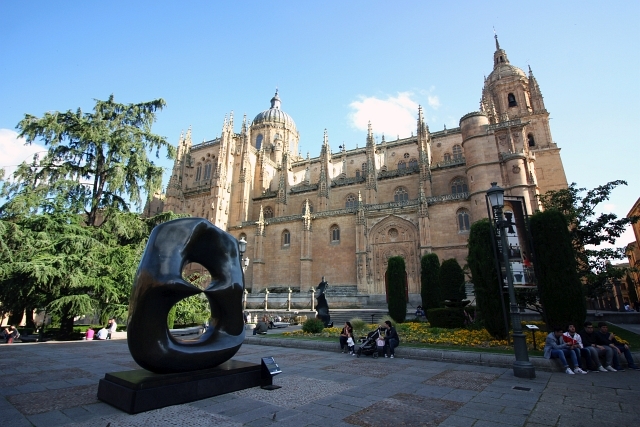 It looked just how I remembered although a few things had changed, for example there was a Henry Moore exhibit outside the incredibly impressive cathedral. While I was out there the weather was scorchio and it proved an ideal time to test out some hot weather, outdoor gear. 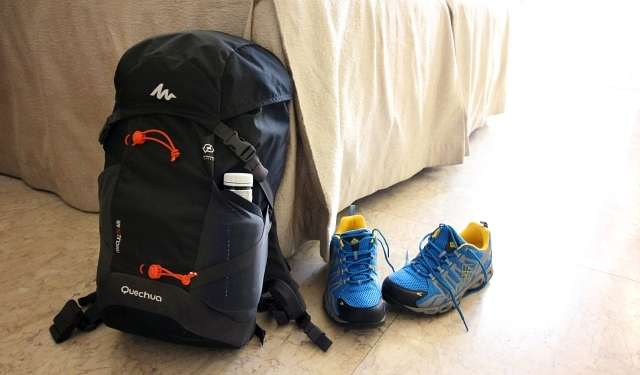 I’d invested a mighty £17.99 on the Quechua Forclaz 20L Air Hiking Backpack. I’m still genuinly staggered by how good value this bag is! 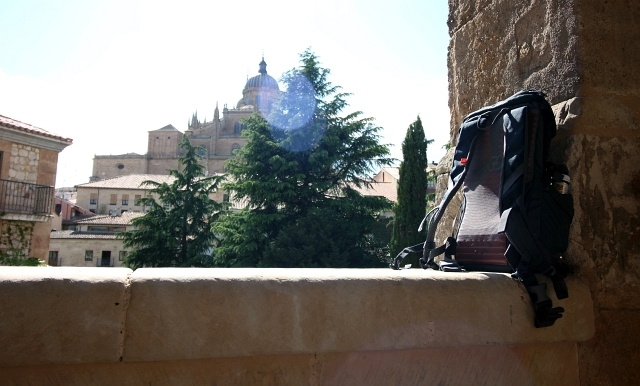 The Backpack has been designed with summer walking in mind and I had lots of chance to try it out during my trip. The 20 litre size is great for half day or full day trips. I personally used the bag in a couple of different ways during my travels. Firstly as a work bag, to carry my work laptop, ipad and paperwork back and forth from the hotel. This was quite a heavy load and the backpack managed to carry it all comfortably. It has adjustable load straps and very comfortable, padded shoulder straps which make carrying around weighty cargo pleasurable. I also wore it during day trips and for sight seeing. 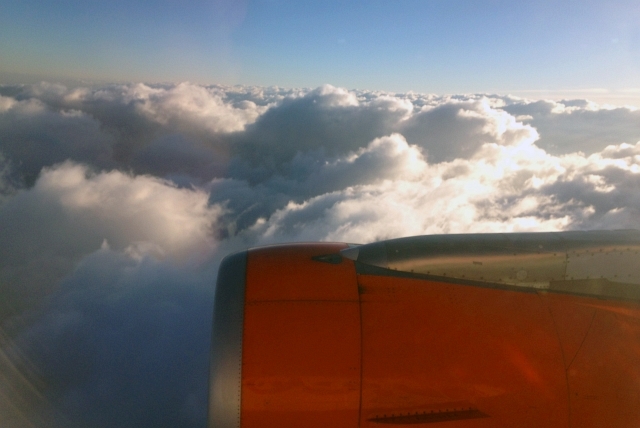 With this I just packed my camera, money, phone and some water – a much lighter load. With two netted side pockets, carrying your water bottles or quick access objects like maps are a breeze. On top and inside there are two additional pockets which are perfect for phones, money, sunglasses etc. For me though the biggest selling point was the ventilated back of the Forclaz. This is the same design as my girlfriend’s larger Forclaz air, which she had used when climbing multiple mountains back in the Spring. 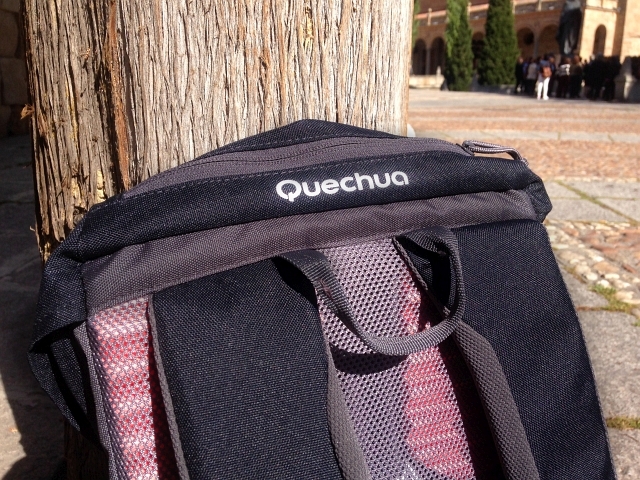 The back of the rucksack has been designed especially to enhance air circulation. This in turn limits how warm your back gets and also stops moisture forming. The zig zag design with meshed fabric over the top prevents your back from touching the bag and lets air flow through between. Due to the really hot weather, I had also invested in a Columbia Zero Rules Short Sleeve Shirt. With summer weather in southern Spain getting really hot and because I was out and about for the entire day, I was worried about getting sweltering! 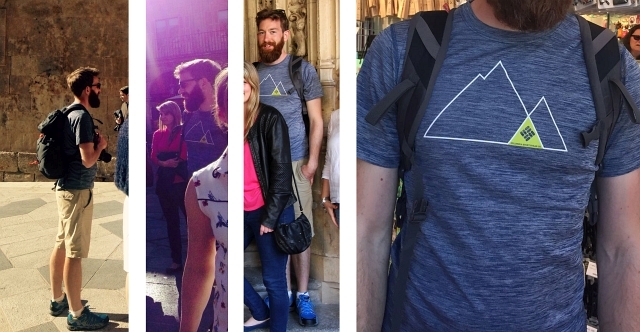 I really didn’t think a shirt could do that much to combat the heat – I was wrong. I’ve got quite a few wicking sports shirts but this one felt a lot different. They normally feel very man made and plasticy. Columbia’s T Shirt however, felt totally different when I first put it on, feeling and looking a lot more like a normal tee. It fitted brilliantly and had a slight amount of stretch which further added to the good fit as well as being great for dynamic activities. A super-cooling tech tee with stretch and sun protection, this soft and lightweight men’s shirt sports our industry-leading cooling technology, which reacts with your sweat to lower the material’s temperature and keep you cool during dynamic aerobic activity in the heat. Built for hot climates it offers UPF 30 sun protection so with that and my beard I didn’t have much skin left to be worrying about or putting sun cream on. The shirt’s fabric has Columbia’s Omni-Freeze Zero. This looks like small blue circles on the inside of the garment. What this does is activate and cool when it reacts to your sweat. Normally I approach these sort of claims with a bit of scepticism but this really did work. On days where I had been getting hot wearing other tees, if I changed into this it made me feel much better. The t shirt was so good in fact that I washed it and wore it on more than one day. Although it has an antimicrobial treatment which protects it from smelling so I might not have even had to wash it! 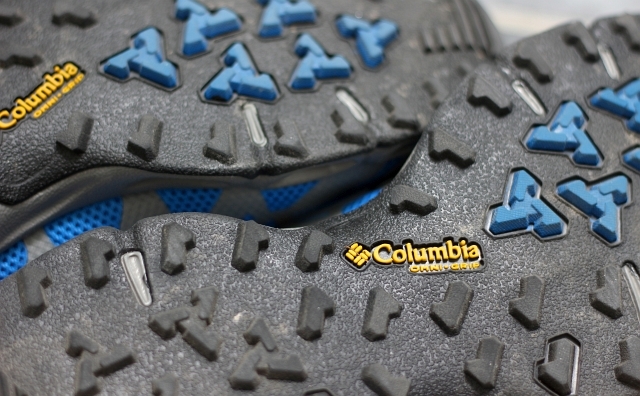 We did an ungodly amount of walking throughout the trip and whilst shopping for Columbia T Shirts, I had also picked up a pair of their Ventrailia walking shoes. These pretty incredible shoes offer everything an outdoors man might want. The shoes are waterproof and breathable so great for the English summer or tropical weather when the weather can be hot one moment and raining the next. 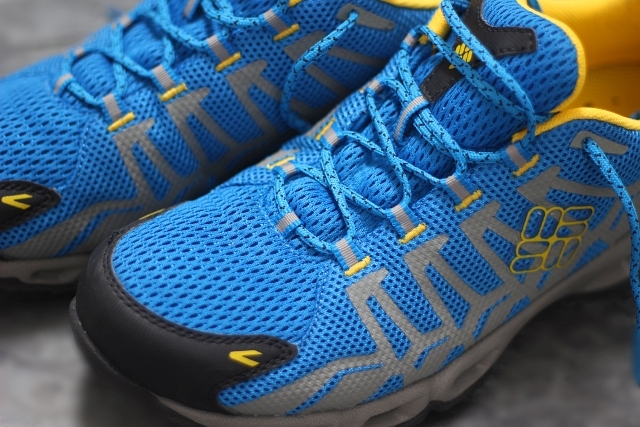 As well as breathability, the Ventrailia combines lightness, support and comfort. The textile upper has strongly welded fabric layers which provide support and protection for your feet and ankles. Although this isn’t the sort of shoe you’re going to use when tackling epic scrambles on mountains, they are great shoes for trail walking and fast hiking of moderate ground. Comfort is always so important in a walking shoe and can be the difference between a fantastic day and a terrible day on the trail. Inside the Ventrailia’s is a lightweight midsole which I noticed cushions really well and felt almost bouncy when out walking. I walked miles and miles in these shoes and at no point did they rub or my feet even start to ache. With all the walking I did in Salamanca I could really notice the grip on the soles of these shoes. I found that the rubber offered fantastic traction and at no point did I not feel as if my feet were stuck to the ground. I wore these shoes a lot in Spain and I properly love them, during a brief downpour they stayed super dry, my feet didn’t over heat in the hot weather and were really comfortable. As well as all this, they look really cool and I even got a few compliments about them. 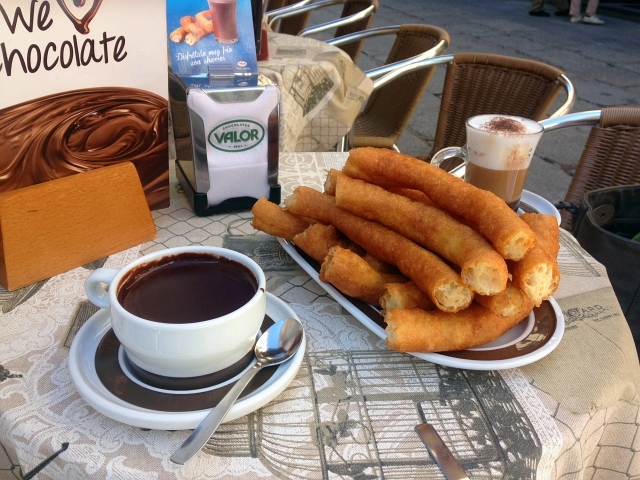 Completely unrelated but I love churros!